This year, the SBM gave three such awards, including two to attorneys who devoted careers to prosecution service. 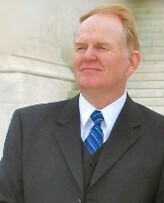 Timothy A. Baughman has served Michigan’s citizens for 40 years. He joined the Wayne County Prosecutor’s Office in 1975 and became chief of research, training, and appeals in 1985. He has argued more than 70 times in the Michigan Supreme Court, greatly influencing Michigan criminal law. He argued seven times in the United States Supreme Court, prevailing on all but one occasion and helping to shape federal criminal law. He served on the Michigan Supreme Court to Review the Rules of Criminal Procedure and the Michigan Supreme Court Model Criminal Jury Instructions Committee. He is an adjunct professor at Wayne State University Law School and regularly lectures to both Michigan prosecutors and prosecutors’ associations across the country. 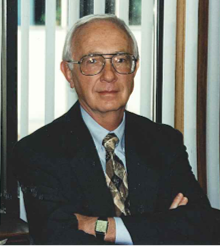 The late James L. Shonkwiler began his career as court-appointed counsel for indigent defendants and spent his retirement working to reform Michigan’s indigent criminal defense system. In between, he was appointed associate director of the Michigan Crime Commission, which created the Michigan Prosecuting Attorneys Coordinating Council, the first state-level office to train and support county prosecutors. In 1970, Shonkwiler became executive secretary of PACC. He served in that role for 27 years, simultaneously working as executive director of the Prosecuting Attorneys Association of Michigan. He was a founding member of the SBM Criminal Law Section and for decades edited and wrote the section’s monthly newsletter, summarizing developments in state and national law. He also founded the section’s biannual policy conference.